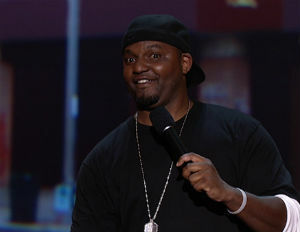 “MAD TV” comedian Aries Spears’ wife of two years filed for divorce earlier this week, according to TMZ. The couple, who have a three-year-old son, were wed in December 2010 and separated on Feb. 5.Â According to court documents, Spears’ wife wants full legal custody of their son and is asking that the comedian-actor be allowed “monitored” visitation. She is also asking for spousal support.